Learn important design fundamentals in this class while mastering Susan’s Dragon Bones technique. 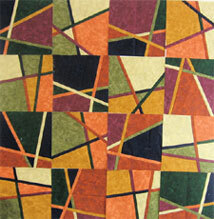 Play with squares, rectangles, triangles or diamonds and use insertion strips of colour to run across the fabric surface. Design elements of line, shape, value and colour will be studied and practiced and students will have the opportunity to test and use several additional piecing techniques. Time will also be spent trying out border, quilting and embellishment choices. 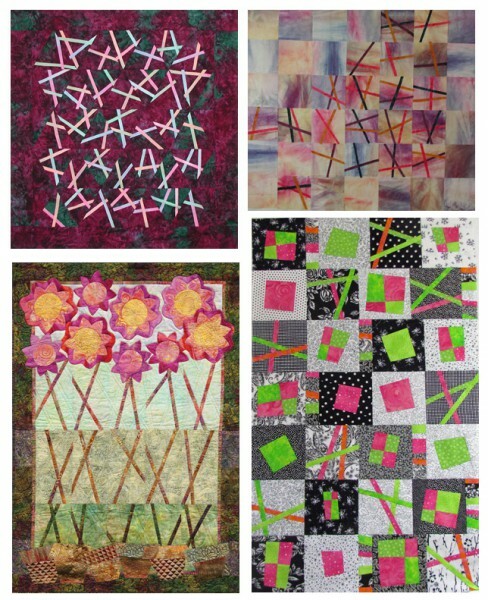 This class will be an excellent addition to your quilting skills. In a two day class students will spend time designing their own shapes, testing the technique and designing their border treatments.